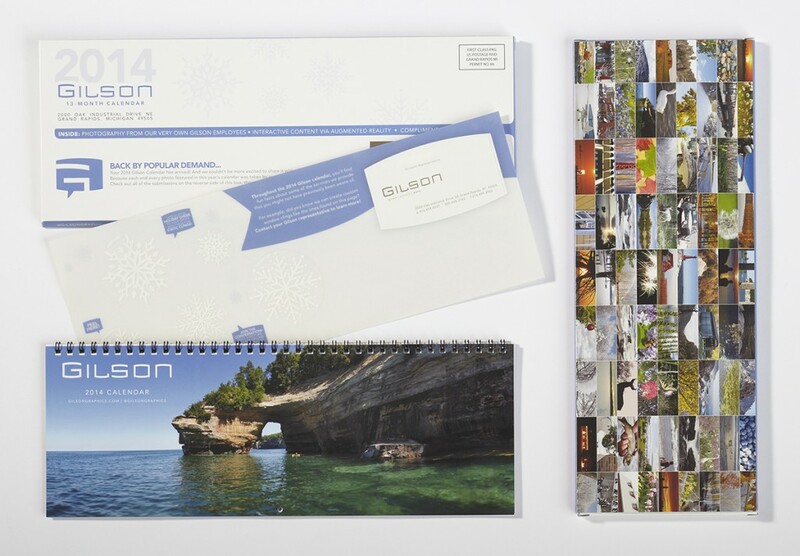 The 2014 Gilson calendar is the complete package. Revived from 2012, the ever-popular horizontal format features photography from Gilson’s own employees. (We had a hunch these folks had hidden talents!) Each calendar is wire-bound and includes an insert with playful, removable static cling snowflake window decals. The unusual, full-color carton was produced in Gilson’s large format department and hand-assembled by our packaging team. But wait, there’s more: the calendar is also outfitted with Augmented Reality! Your Gilson representative will gladly provide in-depth information about accessing this innovative technology through your smartphone or tablet.